Do you have a hectic schedule? Is life so busy that even the simple pleasures like cooking have now become a chore? We feel you. We're all about easy weeknight meals and no-fuss breakfast ideas because, at the end of a long day (and at the beginning of one), we just want to eat a delicious meal and relax. Well, we found the holy grail of the fast and healthy fix, and it's ridiculously easy. Say hello to one-pot pasta. We're already big fans of the one-pot style and love a slow-cooker recipe, but this one really takes home the grand prize for being effortless and delicious. 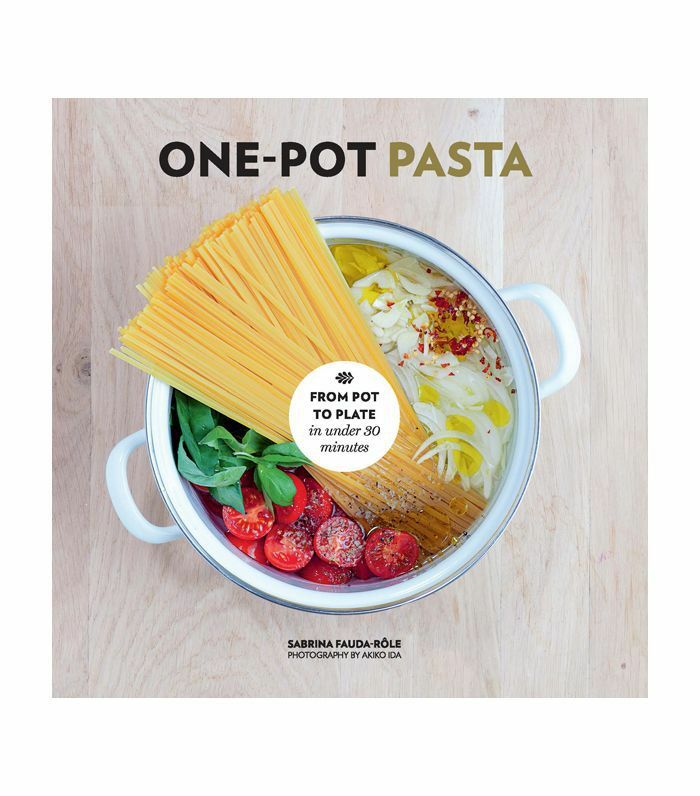 While we were already aware of this low-touch dinner, chef and author Sabrina Fauda-Rôle brought it back into our daily lives when her new book, One-Pot Pasta, landed on our desk. "In addition to eating a tasty and healthy meal, you don’t have to spend time cooking and washing up a large number of pots, pans, and dishes," she told MyDomaine. "Also, most of the ingredients used in the recipes aren't expensive." Who can resist such a simple, nutritious dish that only takes 15 minutes to make? Oh, and one that doesn't dent your weekly budget either? It's genius in our books. Ahead, Fauda-Rôle shares four of her favorite healthy one-pot pasta recipes from the new book. Make them today and be sure to share your experience with us on social. This story was originally published on November 4, 2016, and has since been updated.